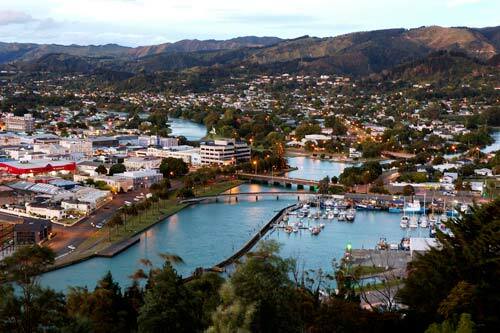 The Waimata and the Taruheru rivers join to form the Tūranganui River, at the heart of Gisborne. The downtown area is at middle left in this picture, fronting on the Tūranganui. The inner harbour, at front right, has bars and restaurants that are well-patronised in weekend evenings.